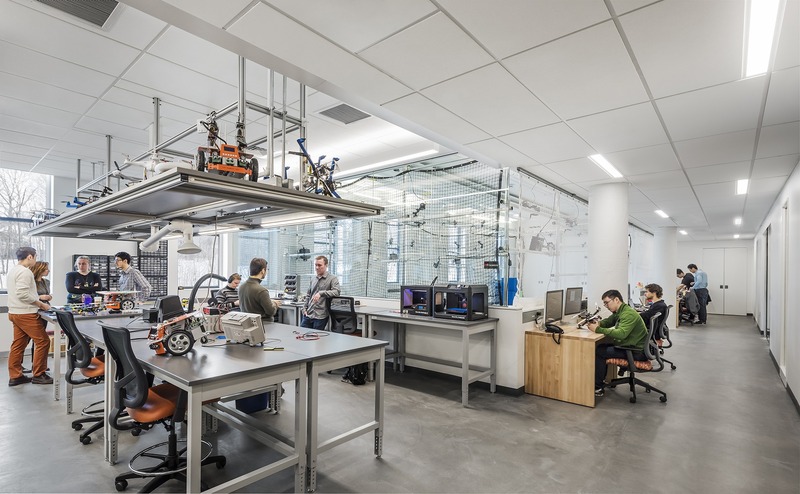 Prominently located at the heart of BU’s campus, the Engineering Product Innovation Center (EPIC) serves as the only street-view presence of Engineering from Commonwealth Avenue. The 15,000 SF facility merges the technical education of using machine tools with the ability to bring a product to market. In the hopes of revitalizing manufacturing and engineering in the U.S., the project was sponsored by industry leaders, among them some Fortune 500 companies. It was a top priority for BU to bring Engineering to the forefront of campus. 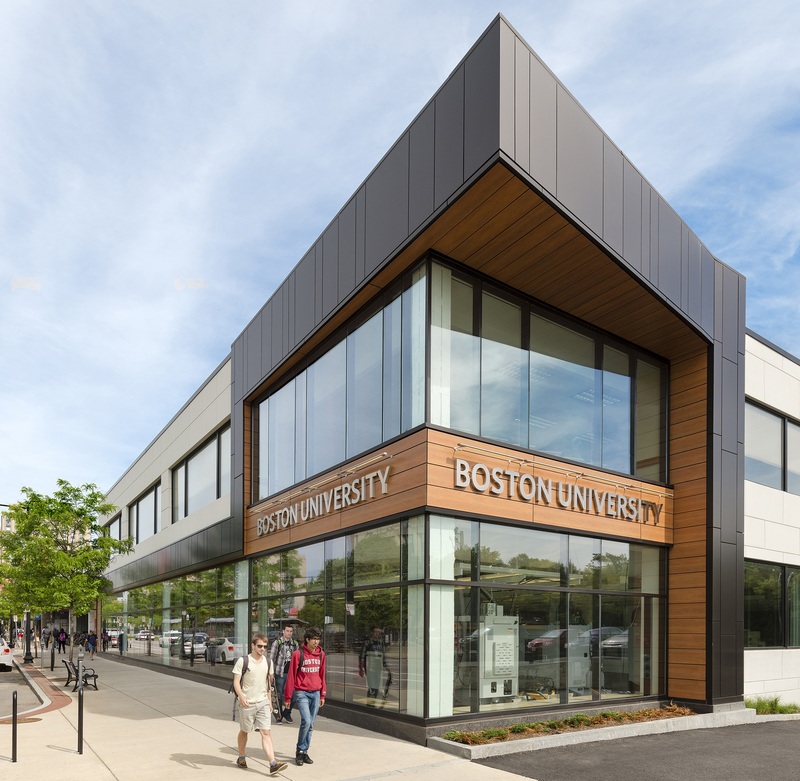 The design team delivered this goal by making EPIC a visible gateway to the central campus from the BU Bridge as students cross campus from west to east. EPIC is not only visible, but transparent; passersby can actually see production happening within. 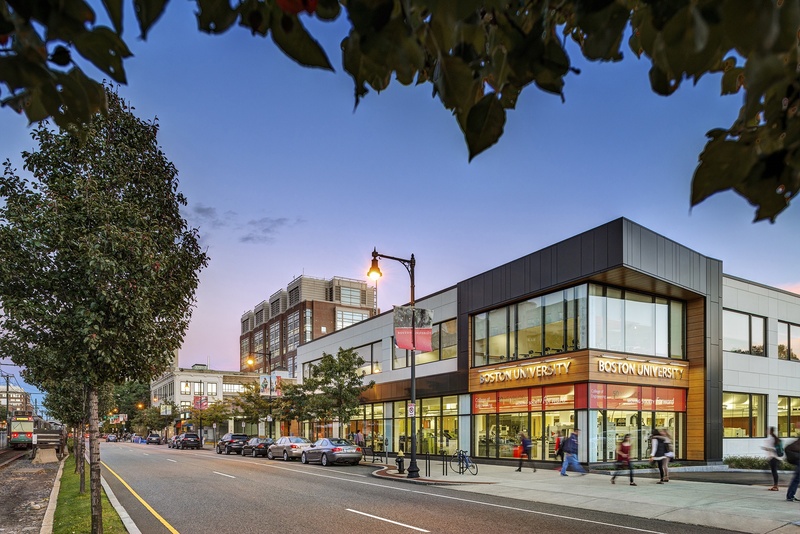 Located in a former guitar center and parking garage, the adaptive reuse project provides floor space for an open machine shop with metal lathes, CNC, milling machines, 3D printers, and a variety of other tools. 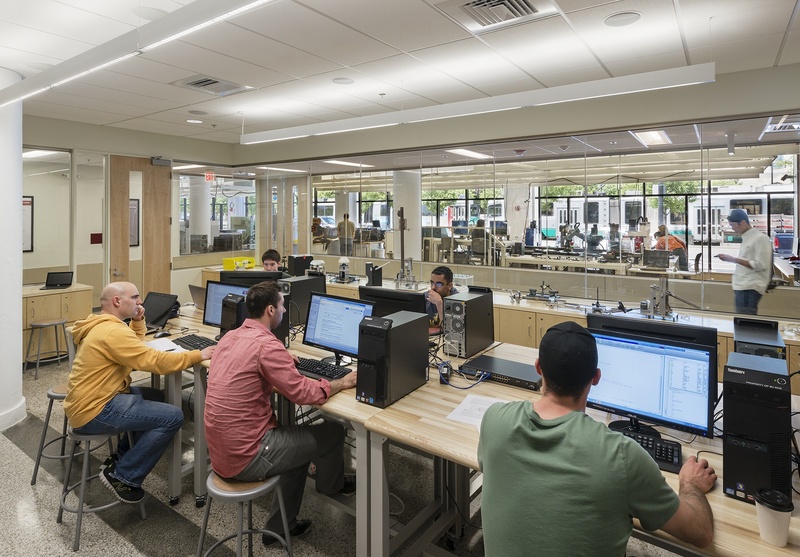 Adjacent, a teaching and assembly area allow students to work in teams and collaborate on projects. 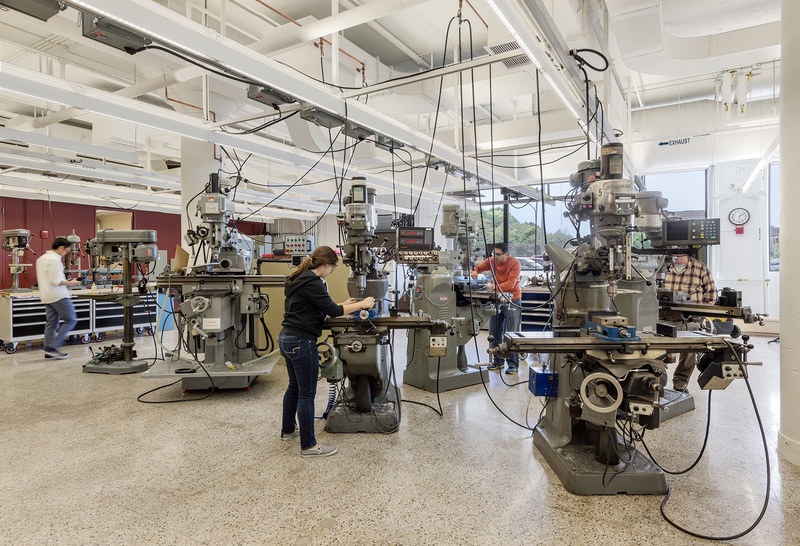 A metrology lab lets students test and measure the hardness and character of materials; and a welding and kiln area serves to mold materials into any desired shape. 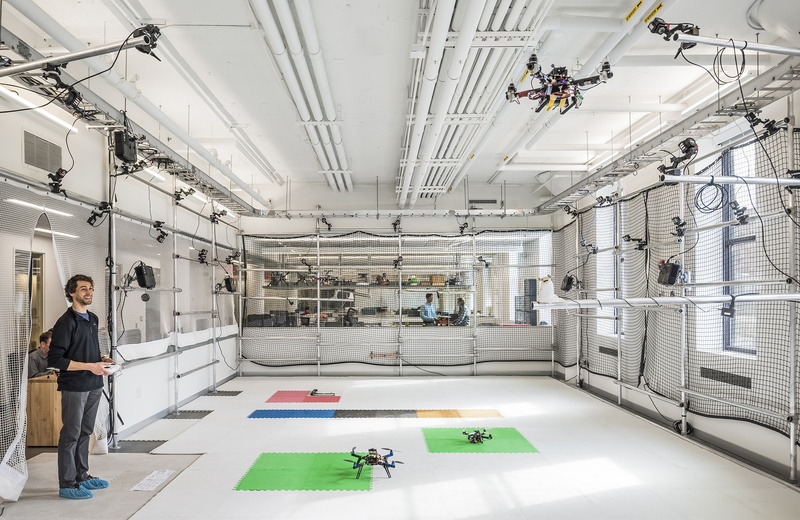 EPIC originally included 4,000 SF of shell space for research that has recently been fit-up for the BU Robotics Lab. The lab is a perfect partner for EPIC, promoting a hands-on research environment. Included are a robot arena, workshop, desk seating for 28, a 12-person conference room, informal gathering area and kitchenette.